Chargé d’Affaires, a.i. 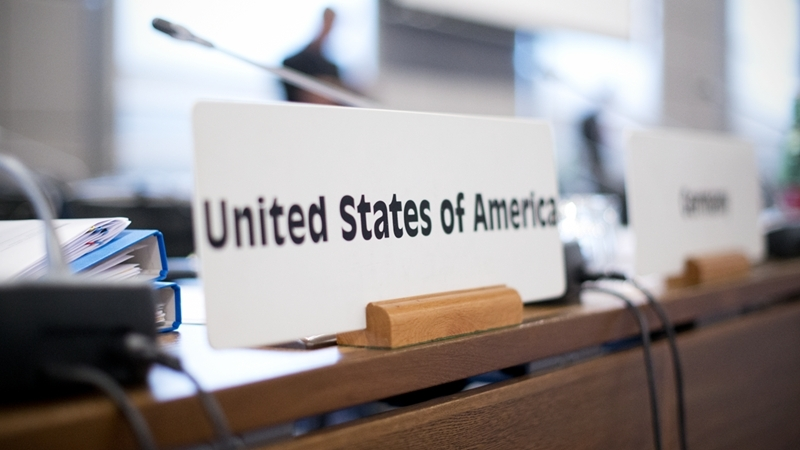 of the U.S. Mission to the OSCE Harry Kamian urged Russia to immediately release Ukrainian political prisoners and stop reprisals in the Crimea. He made a corresponding statement during his speech to the Permanent Council in Vienna, published on the site of the US mission to the OSCE. "We continue to receive alarming reports of Russian security forces in Crimea searching the homes of Crimean Tatar activists and, in some cases, of forcibly evicting them. For instance, there were reports of intimidating raids in the Crimean Tatar village of Pushkino on November 16, where security forces broke into houses, pointed guns at residents, and used physical force against them while conducting intrusive searches, allegedly for narcotics and other “contraband,” none of which were found. Such abuses against the Crimean Tatar community must stop immediately, "Kamian said. The US representative also said that the United States is calling on Russia to stop the campaign of repression in the occupied Crimea and restore Ukraine’s control over Crimea. “The United States is resolute in its support for Ukraine’s sovereignty, independence, unity, and territorial integrity within its internationally-recognized borders. We do not, nor will we ever, recognize Russia’s purported annexation of Crimea. Crimea-related sanctions on Russia will remain in place until Russia returns full control of the peninsula to Ukraine," he said. Furthermore, Harry Kamian expressed concern that a Moscow court might sentence journalist Roman Sushchenko to a 20 years imprisonment on fabricated charges of espionage. "We call on Russia to drop these charges," Kamian said. He also noted that the United States closely follows the trial Mykola Karpiuk and Stanislav Klykh, who were convicted in May 2016 on bogus “terrorism” charges. Earlier, the US State Department reminded that the leadership of Russia was responsible for non-compliance with the Minsk agreements.